With over a decade of expert knowledge in strategic planning, management solutions and operational management, Chris Katkocin supports clients by leveraging his unique skillsets gained from his vast work experience, industry accreditations, and educational accomplishments. Having extensive success in increasing revenue, reducing costs, and growing profit margins successfully for clients, Mr. Katkocin actively leads numerous program management and business transformation engagements for such clients as Veteran Affairs and Military Health. As a Director at F|A|P, Mr. Katkocin is not only responsible for contract negotiation, account management, and client relations, but he also utilizes his managerial expertise to improve performance and enhance personnel development. Prior to joining F|A|P in February 2017, Mr. Katkocin’s career focused primarily in the healthcare sector, working in hospital operations at both INOVA Fairfax Hospital and Sentara Northern Virginia Medical Center, before ultimately landing at his most recent role as a Deputy Director at the Altarum Institute, a tenure from 2010 - 2017. As a Deputy Director at Altarum, Mr. Katkocin managed the majority of the Veterans Health Administrations (VHA) portfolio, focusing on business process improvements that are designed to optimize targeted areas of operations. Mr. Katkocin holds a Masters of Business Administration with a healthcare concentration from The George Washington University of Washington, in addition to his Bachelors in Business Administration from James Madison University in Harrisonburg, VA. He continues to further his knowledge-base and network, and maintains his status as a certified Project Management Professional (PMP) through the Project Management Institute, and as a Certified Healthcare Financial Professional through the Healthcare Financial Association. 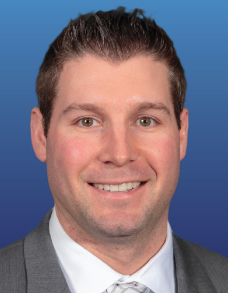 It is with these accomplishments and past project experiences that allows Chris Katkocin the ability to possess a comprehensive understanding of both business management and healthcare operations, as well as understand complex problems, to deliver composite and successful solutions for his clients.